Win Tickets to Health’s Reznor-Free Show At the Knitting Factory! 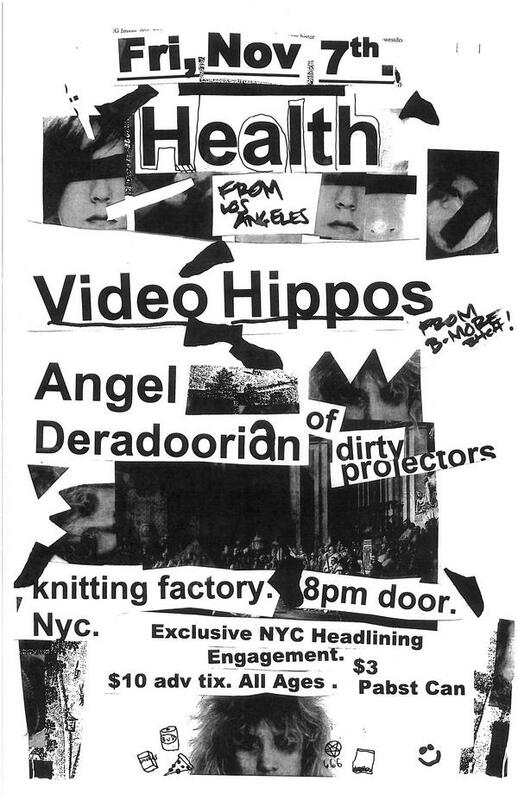 Fresh off their string of mom-impressing shows with Nine Inch Nails, Health is headed to the Knitting Factory tomorrow for their only NYC-area appearance. Supporting the s/t-approved noiseniks are Angel Deradoorian of Dirty Projectors and the Dan Deacon-related duo Video Hippos. (Careful: Their Web site is almost as epilectic as M.I.A.’s.) Since we want you to have extra money for those $3 Pabst cans–or even a Red Stripe if you’re lucky–self-titled has a pair or two of tickets to give away. E-mail events@self-titledmag.com for a piece of that percussive, art school dropout action. First come, first served.